The trail to find waterfalls, also paralleled Deep Creek for about a mile. It crossed over the stream via footbridges a couple of times. What a wonderful combination of water, rocks, and cascades it was! At one point, the trail was blocked by a crew that was cutting back shrubbery from the trail; so, I climbed down an embankment to the creek in order to bypass them. Making my way along the rocky bank was a bit challenging at times, though. I was glad to get up close to the creek. 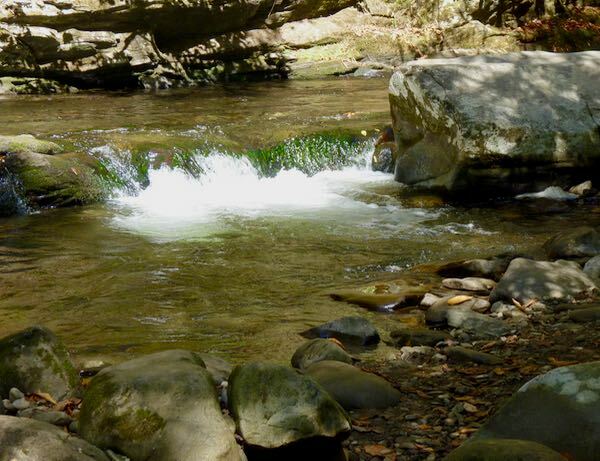 The water flowing around, and cascading over the rocks and boulders provided lots of visual excitement. 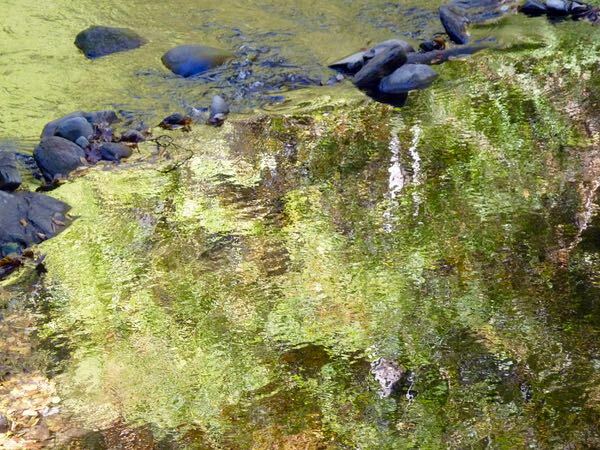 The edge of the creek also had interesting formations and vegetation. The variety of textures and colors was stimulating. I expect in the springtime, when the rhododendrons lining the creek are in bloom, it would be fantastic. Not sure if something happened with the camera in the last photo; but, it almost looks like a painting to me. 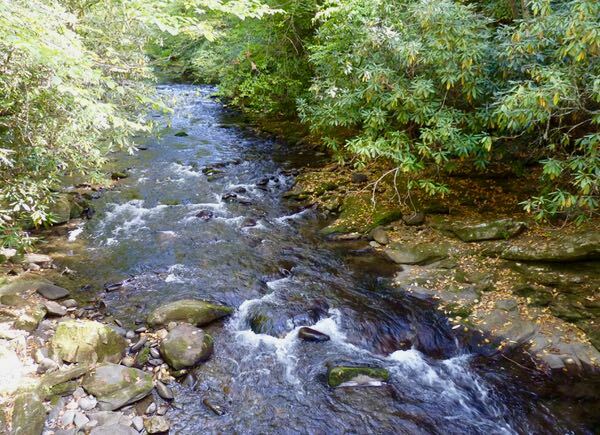 I enjoyed experiencing Deep Creek, as much as seeing the waterfalls along the trail. 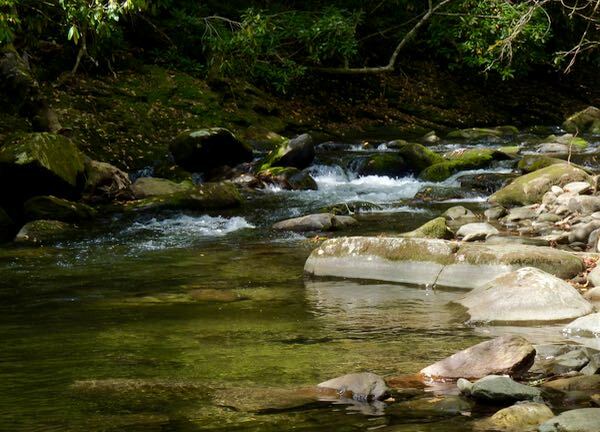 I have camped next to a stream in the GSMNP during every season of the year and in between. 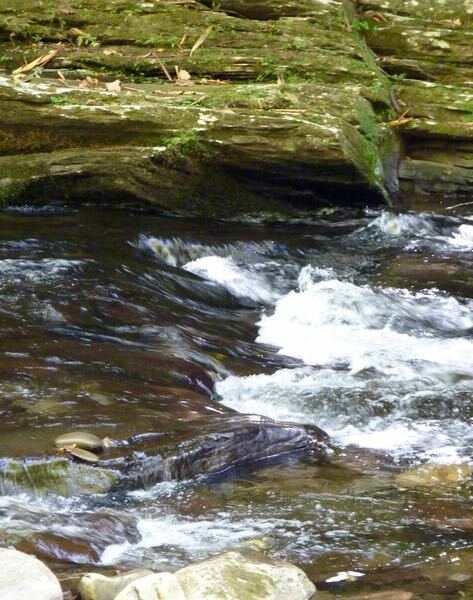 There is nothing like falling asleep hearing water rushing over the rocks. You can almost hear the whispering going back and forth between earth and water. I don’t think there is a more beautiful place in the world than the Smoky Mtns. 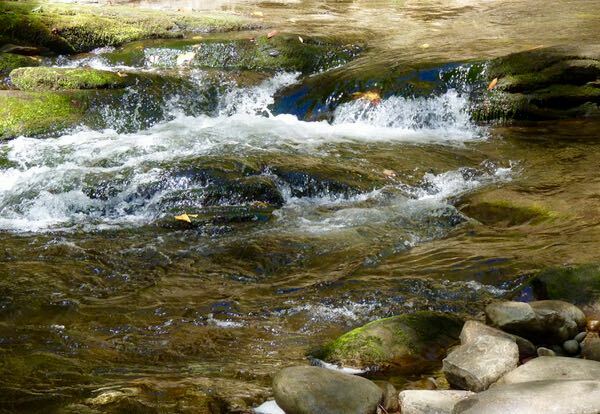 There sure is something mesmerizing about a babbling brook.